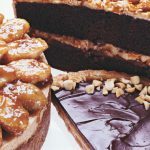 I am a Contributing Editor to Bon Appetit and have been writing for the magazine since 1999. 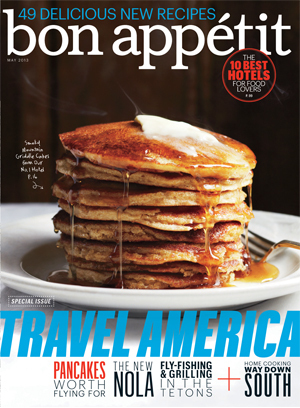 My articles appear in the magazine and you can also find them archived at both BonAppetit.com and Epicurious.com. You can also catch me on national shows such as TODAY, Dr. Oz and on HSN(HomeShoppingNetwork) representing the magazine. Check Upcoming Appearances for schedule. Here are some of my favorite recipes that I have developed for Bon Appetit over the years. 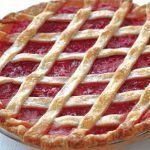 Be sure to check the links to the original recipes at Bon Appetit and Epicurious where you can read reviews and print out shopping lists. 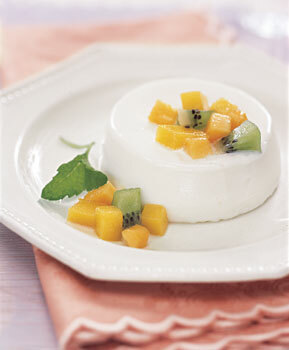 Buttermilk Panna Cotta with Tropical Fruit – This panna cotta has a very slight tang from the buttermilk, and while it is lovely plain, or with your choice of toppings, don’t miss out on this mélange of tropical fruit. 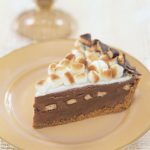 S’Mores Ice Cream Pie with Warm Milk Chocolate Sauce – This luscious dessert combines all the flavors of s’mores without having to build a campfire. Uses purchased ice cream too. Easy! 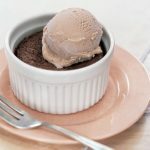 Bittersweet Molten Chocolate Cakes with Coffee Ice Cream – Molten cakes, lava cakes, warm truffle cakes, whatever you call them, they are delicious. 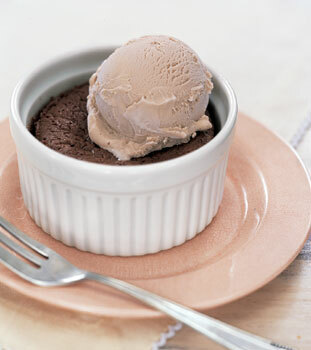 Warm, gooey chocolate topped with ice cold ice cream. Easier than they look, too! 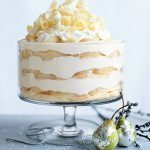 White Chocolate Tiramisu Trifle with Spiced Pears – a spectacular showstopper for your white Christmas holiday table, or anytime you want the flavors of white chocolate, spices, pears and cream. As an added bonus, it has many do-ahead steps. 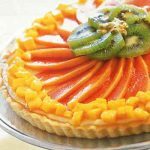 Cheesecake Tart with Tropical Fruits – a thin layer of creamy cheesecake nestled in a sweet, crisp tart shell. Top it any way you like, but this colorful assortment of fruit makes a stunning presentation. 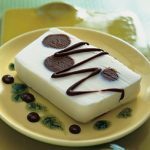 I love the idea of cheesecake but often I am done after one bite. 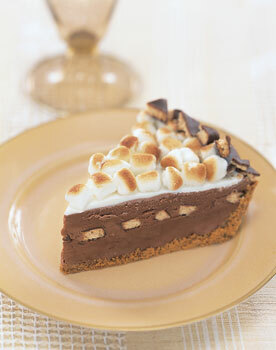 This thinner profile is a great way to indulge. 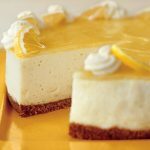 Lemon Curd Mousse Cake – a light lemon mousse cake with shortbread cookie crust (using purchased cookies!). 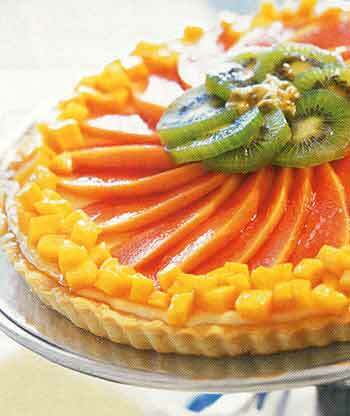 Tart, tangy and very party worthy. 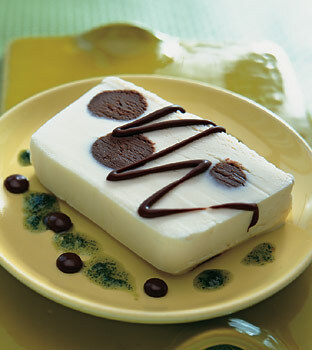 Mint-Truffle Ice Cream Terrine with Mint and Chocolate Sauces – the polka dots are chocolate truffles! 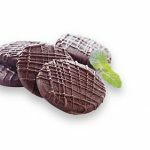 The ganache makes the truffles as well as the sauce, making this easier than it looks – and you start with purchased vanilla ice cream. Guests will want to know how you got the dots in there! 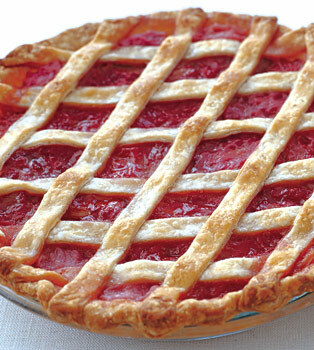 Rhubarb Lattice Pie with Cardamom and Orange – a perfect pie for spring when rhubarb s fresh. 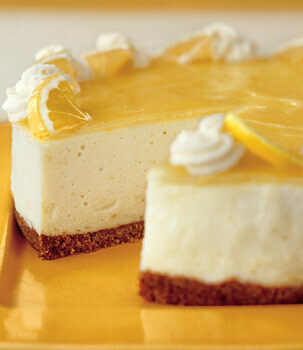 The cardamom and orange are an unexpected twist – you’ve never tasted a pie like this before. 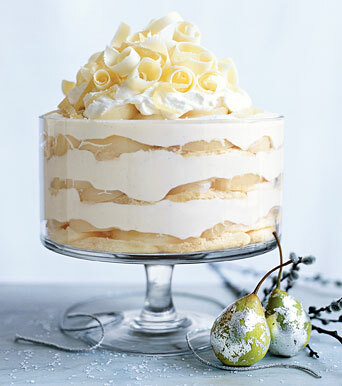 A scoop of vanilla ice cream is a welcomed addition. 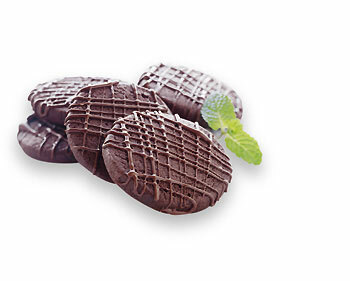 Chocolate Mint Cookies – just like Girl Scout Thin Mints but BETTER. Enough said. 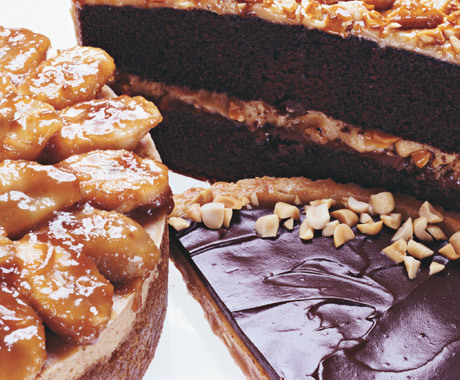 Peanut Butter Caramel Honey Nut Tart with Ganache Glaze (lower right of pic) – A crisp sweet shell holds a chewy layer of caramelized, honey-sweetened peanuts, topped with a smooth creamy peanut butter filling and finally crowned with a ganache glaze – and it keeps really well. 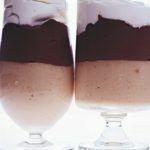 Two Layer Peanut Butter and Milk Chocolate Pudding – Serious comfort food. 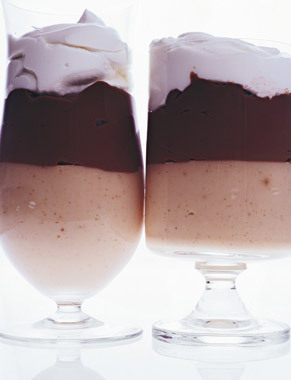 One layer of peanut butter pudding and one of milk chocolate. 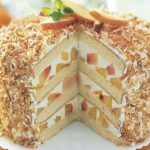 Coconut Peach Cake – This white cake has coconut milk in the batter, coconut shavings all over the outside and a luscious peach filling between every one of its four layers. A great choice for an August party.